HMP is a small purveyor of fine model airplane kits, plans, art and tools. 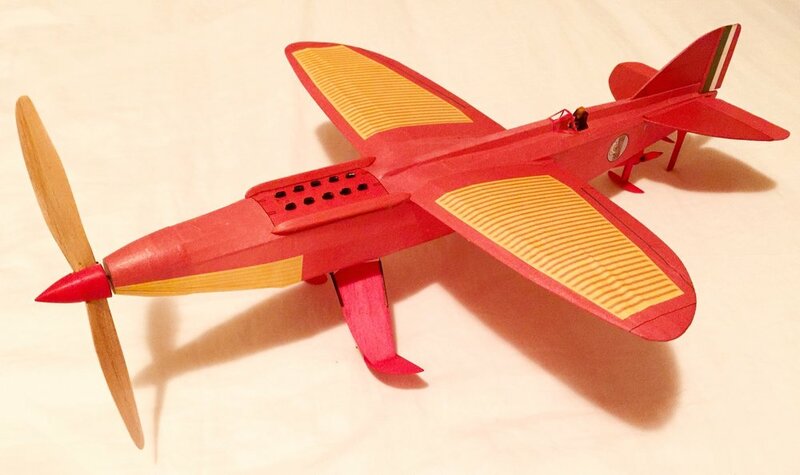 We specialize in items related to free flight model airplanes with an emphasis on rubber powered and electric designs. Particularly scale, nostalgia, and old timer subjects but also some high-performance FAI related products. PLEASE NOTE: I am a one person operation trying to earn my bread via two businesses (I am also a geoscience consultant), and I can’t afford to buy huge quantities of light wood ahead of time. This means that it sometimes takes time (two to four weeks) for me to get kits or tools produced; the delay can be up to two months in rare cases. Please know that I will do everything I can to get your order shipped as soon as I can get it ready. If you need your order rushed for a coming contest, or gift deadline (e.g. Christmas or a birthday) please let me know so that I can meet your deadline.